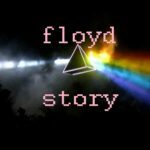 Floyd story: a Pink Floyd, Progressive rock radio. Posted in Pink Floyd, Progressive rock. Tagged with Pink Floyd, Pink Floyd Radio, Progressive Rock.